1 Mother Theresa's Convent School, Khilchipur. 2 Kolping Higher Sec.School, Maksi. 3 Ashram High School, Malikhedi. 4 Alphonsa Vidya Mandir, Mana. 5 St.Joseph's convent school, Mehidpur. 1 Pushpa Convent School, Agar. 3 Christ Jyoti Convent School, Malanvasa. 4 Fatima Convent School, Nagda. 5 St.Joseph's Convent High School, Narsinghgarh. 6 Rajeshwar Convent Hr.Sec. School, Rajgarh. 7 Mahatma Gandhi Hr.Sec.School, Shajapur. 8 Deepti Convent Hr. Sec.School, Shujalpur. 9 Santosh Catholic High School, Susner. 10 St.Paul's Convent School, Ujjain. 11 St.Mary's Convent school, Ujjain. 1 Carmel Convent School, Agar Road, Ujjain. 2 St. Alphonsa School, Akodia. 4 St.John's High School [Hindi], Chandessery. 5 Nirmala Convent School, Chandessery. 6 St.John's Convent School, Ghonsla. 7 St. Mary's Convent School, Gogapur [Mehidpur]. 8 Dina High School, Tarana. 9 Vijaya Convent High School, Zirapur. 1 Manovikas Vocational, Subhash nagar. 1 St Thomas School, Pawasa. 1 Manovikas Special School, Jawahar Nagar. 2 Prem Sagar Special School for Mentally Challenged, Khilchipur. 3 Prem Sagar Special School, Khilichipur. 5 Prem Pragati Special School, Rajgarh. 6 Nav Jyoti Special School, Shajapur. 7 Nav Jeevan Special School, Shujalpur. 1 Jai Rani Hospital, Ghonsla. 1 Saathi Care home, Ujjain. 2 Prem Pragati Residential Centre, Rajgarh. 1 Archana Balika Bhavan, Udenkhedy. 2 Pushpa Balika Bhavan, Ujjain. 1 Preeti Bal Bhavan, Chandukhedy. 1 Shantidham Old Age Home, Ujjain. 2 Samanvaya-Inter Religious Dialogue Centre, Ujjain. 1 Kripa Social service, Dewas Road, Ujjai. 1 Navdarshan Sanchar Kendra, Catholic Church Compound. 1 Kripa Social Service Training centre, Chandessery. 7 Jai Sleeva Ashram, Bachukheda. 8 Jai Sleeva Ashram, Bachukheda. 10 St. Thomas Church, Barnagar. 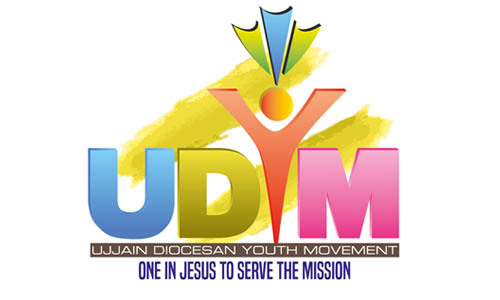 11 Santhome Catholic Mission, Barnagar. 13 St. John's Catholic Church, Biaora. 14 St.John's Catholic Church, Biaora. 15 Nirmala Catholic Church, Chandessery. 16 St.Joseph's Catholic Church, Chandukhedy. 18 St.Benedict's Ashram, Duletia Village. 22 Jai Amala Catholic Church, Harsodan. 33 Dev Matha Catholic Ashram, Malikhedi. 34 Dev Matha Catholic Ashram, Malikhedi. 35 Bl. Alphonsa Church, Mana. 39 Santhome Bhavan(Regional House), Mendya. 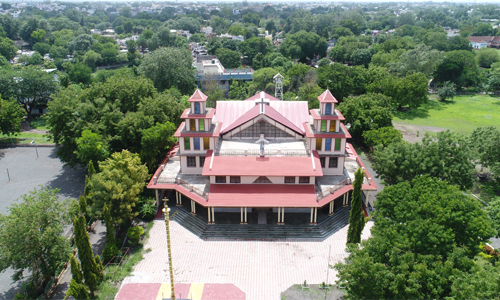 41 St. Joseph's Catholic church, Narsingharh. 42 Infant Jesus Catholic Church, Navada. 46 St. Mary's Catholic Church, Rajgarh. 47 St. George's Catholic Church, Sarangpur. 48 St.Joseph's Catholic Church, Shajapur. 49 St. Peter's Catholic Church, Shujalpur.